We supply top quality “Made in Germany”. We are a pioneer in this field of our industry and work every day to get better. 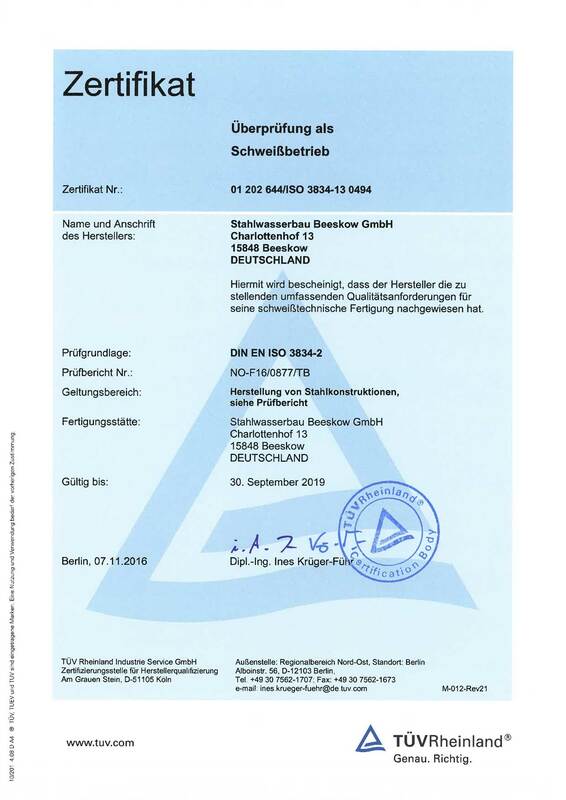 Naturally we have also had our procedures and processes certified to ISO 9001. We are constantly aware of the responsibility attached to our work, because behind our structures it’s about human life, be it a flood protection gate or the closure of a dam. 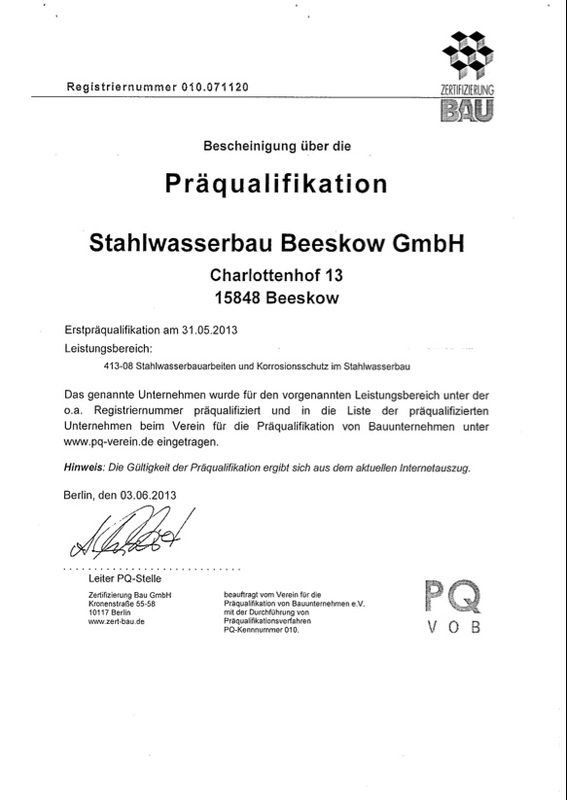 Our company is therefore also certified to EN1090-EXC 4. 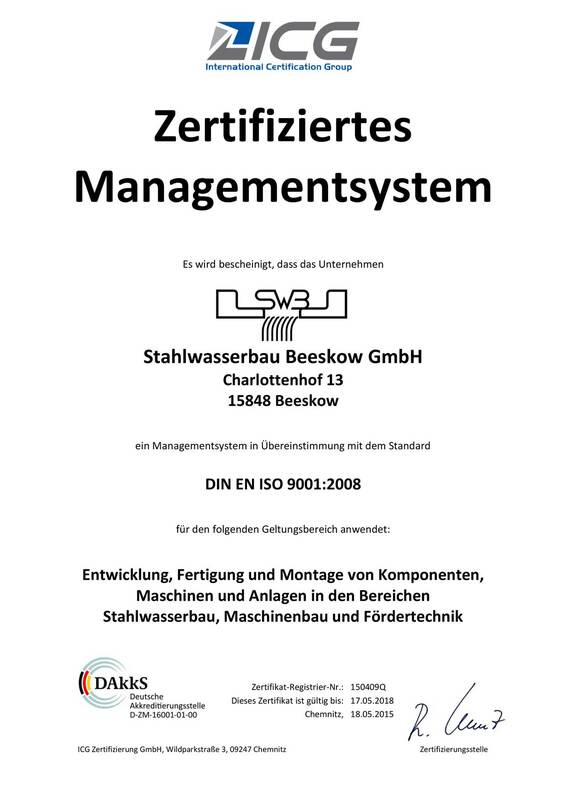 Our quality management in the company was certified to EN ISO 9001:2008 in May 2015. 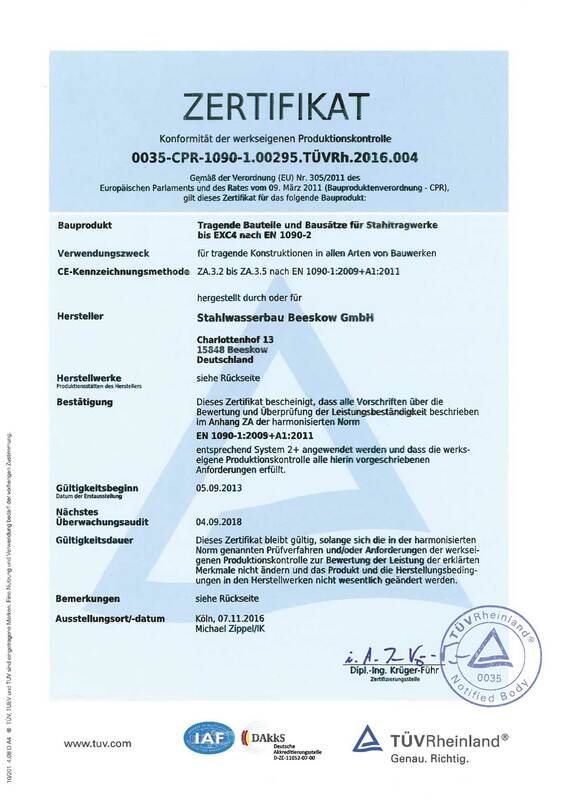 We are very proud to have been awarded certification to DIN EN 1090 – EXC 4 by the TÜV in September 2013. Im Mai 2013 erhielt unser Unternehmen erstmals die Präqualifizierung nach § 6 b VOB.